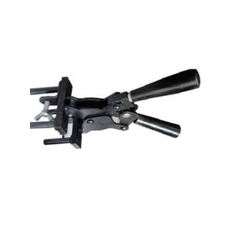 Being a most reliable organization, we are engaged in offering a wide range of Magswitch Stiffener. Arcraft Plasma Equipments (I) Pvt Ltd.
1) Welding Curtains are made of PVC. 2) They are available usually in thickness of 0.4mm(16 mil). · The flashback arrestor and anti return flow can be easily fitted on the inlet of hand held gas welding and cutting equipment, gas regulators and machine torches. We can supply trolley suitable for carriying welding machines along with gas cylinder and water cooling unit - suitable for Kemppi welding machines. We offers a wide range of accessories. The complete range with good quality materials. Design: Comes with a sturdy bag for easy movement. Customers sprawling across the globe can avail from us the sustainable range ofTIG Welding Accessories. We hold expertise in trading and retailing gamut of welding accessories like welding hoses, nozzles, torches, regulators, flashback arresters, welding machines, trolleys, welding holders, Clamps, etc which are made up with high quality material which ensures its durability. Please call on us for your regular requirements. The welding rods are available in customized shapes and sizes as per the requirements of our highly esteemed clients. We make use of high grade metals to manufacture our wide array of welding rods.